My apologies for being a bit slack in the last few days, I've been busy back at University and sorting that out. I'm back though!! 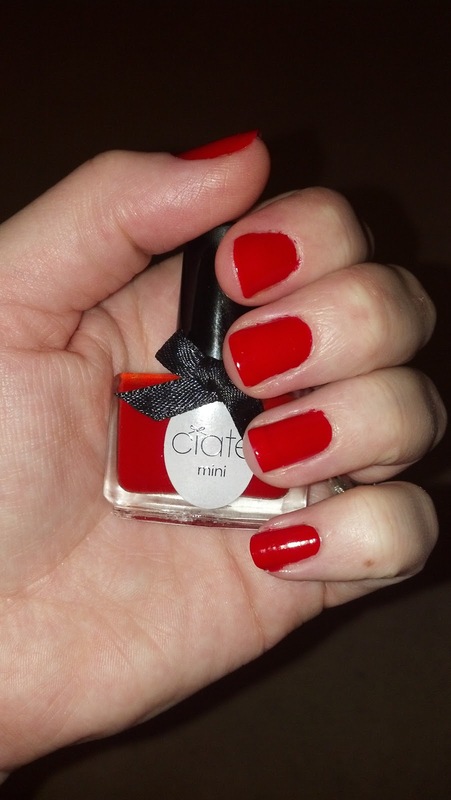 Today's gorgeous nail of the day comes courtesy of another Ciaté mini paint pot (5ml) in the classic red shade 'Mistress 039'. I don't think you can ever beat a classic red shade, it screams 'I'm someone who knows what they want in life and I'm not afraid to get it'. It's one of those nail colours that just doesn't date and really goes with just about anything. I really do love Ciaté paint pots, they provide a great coverage and an epic shine, they dry really quickly too which is always a bonus! Now to decide on my next 'nail of the day' post! Any suggestions? Helly's Top Tip: With it being such a fierce colour it's really important to wear a good base coat to prevent staining of the nails.